Before joining Y.P. Lee, Mock & Partners in 2005, he gained experience working at Kim & Chang and Roh & Yang. He worked as the representative patent attorney at Yoon & Yang International IP Law Office. He was admitted to Korean Patent Bar in 1994 and active member of KPAA. 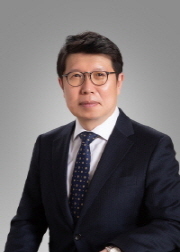 He is current President of AIPPI Korea Group and also a member of APAA, INTA. Mr. Kim involved in several high-profile patent litigations including Kimberly Clark Inc. v. Ssangyong Paper Co. and Apple Inc. v. Samsung Electronics Co. Mr. Kim was invited as a speaker to several international IP conferences such as 2012 AIPPI Seoul Congress, 2014 Annual Congress of the German Patent Attorneys Association (PAK), 2017 ABA IP Conference, 2017 AIPLA Global IP Forum and so on.